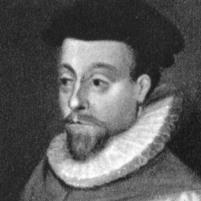 Orlando Gibbons (1583-1625), English composer and organist of the late Tudor and early Jacobean periods, a leading composer in the England of his day. Born in Oxford, England, he sang in the choir of King's College, Cambridge between 1596 and 1598, then he entered the university in 1598 and achieved the degree of Bachelor of Music in 1606. James I appointed him a Gentleman of the Chapel Royal, where he served as an organist from at least 1615 until his death.